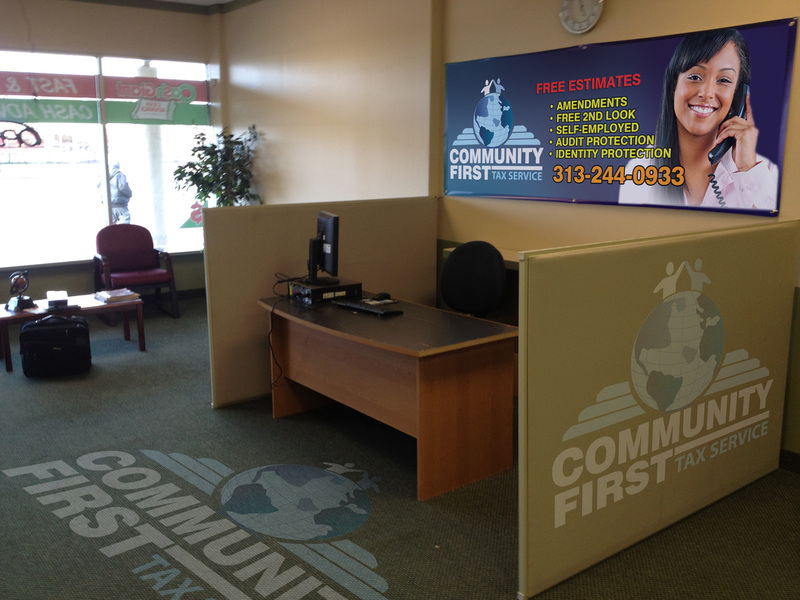 Popup Tax Office - Community First Tax Service, Inc.
Work from any already existing business! If you are a tax professional that has outgrown your home office and just not ready to commit to an office let us help you secure your space in an already existing high-traffic business such as a grocery chain, convenience store, retail business or service industry business. This could eliminate the expense of opening up a retail office if you don't have an already existing clientele and staff to manage the need of a retail office as we would like for your office to grow into the demand instead of downsizing as opening a retail office is a commitment and would require a dedicated owner. Most popup offices are located within a high traffic business such as a grocery chain. The advantages of operating your office within another office as such will be to capitalize from their already existing traffic from their current clients or advertising.